Get to the root of asthma, eczema, allergies, impulsivity, sleep disturbances, learning disorders and more! productive beings, while eliminating the common health ailments that are holding them back. 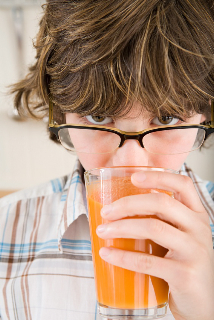 Do you find yourself wondering if an improved diet would elevate your child's moody, sassy or irreverent behavior? Has a health care practitioner, friend, or family member suggested that your child might have food allergies or sensitivities? Do you feel guilty feeding your kids the bagels or mac & cheese that seems to be all they'll accept? Does your child seem to eat a healthy diet with vegetables and whole grains but still face obstinate barriers to health? Do you struggle with your child's sensitivities, behaviors or chronic health challenges that endless trips to the doctor and a multitude of co-pays have done nothing to fully resolve? Are you just plain confused about what's even healthy with all the conflicting information out there? Does the idea of changing your family's diet while racing between your daily responsibilities, soccer practice, music lessons, and getting dinner on the table sound completely overwhelming? If you answered YES to any of these questions Your Vibrant Child is for you. We've got the step-by-step system to support you and your family! "You will finish the program knowing exactly what to do to help you and your family stay healthy." 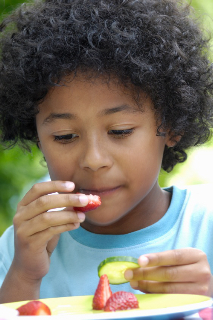 Your Vibrant Child is a comprehensive program on family and children's nutrition. Andrea explains scientific facts in easy to understand format, and pairs that with actionable advice. The materials in this program are easy to understand and the recommendations are very practical. Andrea debunks myths and helps participants navigate the myriad of confusing and contradicting information around nutrition. You will finish the program knowing exactly what to do to help you and your family stay healthy. I particularly enjoy the discussions using real world examples - a lot of times parents' challenges are not understanding the facts, but putting what we know into action. 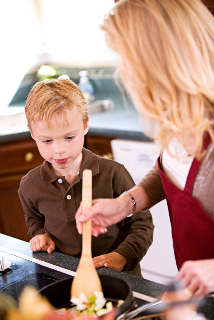 Andrea offers practical advice on dealing with kids of all ages, how to work with picky eaters, how to deal with special occasions and how to navigate food sensitivities. Your Vibrant Child is an informative & supportive step-by-step system to . . .
"My daughter hasn't had sugar in over 9 months!" I went into the program thinking that I knew a lot about nutrition, but as I went through Your Vibrant Child it became clear to me how much I didn't know. This program gave me an incredible education about how various foods may be affecting my daughter, and it was this knowledge that ultimately inspired me to make changes in her diet. Before participating in Your Vibrant Child, I was wanting to find a way to clean up my daughter's diet. I was particularly interested in removing sugar from her diet, but I was worried about how she (and I) would navigate the waters. How would we handle birthday parties, Thanksgiving dinner, or school potlucks? Andrea's support, guidance, and incredible recipes gave me the confidence to take this big step. My daughter hasn't had sugar in over 9 months! The great news is that it was much easier than I thought, and my daughter does not feel deprived. In fact, she regularly eats nutritionally dense brownies, cookies, popsicles, ice cream, and chocolate that I lovingly prepare and serve to her. Andrea and Andrea, I can't thank you enough for the change you helped me create for my family! Who Are We & Why Should You Listen To Us? Andrea Nakayama is a functional nutritionist, speaker, educator and owner of the global online nutrition enterprise Replenish PDX. Her journey to even considering the role of nutrition in health began with a family health crisis. In 2000, her husband was diagnosed with an aggressive brain tumor. At the time Andrea was seven weeks pregnant and her husband was given about six months to live. Healing became a full-time job for the two of them. The eventual loss of her husband and living with the research and knowledge that she gained through this experience gave Andrea both the compassion to work with people and the first-hand knowledge of the significance that food and nutrition play in either feeding or fighting disease. This propelled her toward years of further education so that she could deliver her message of healing more broadly. Andrea’s personal experience along with her professional training and expertise has made her a passionate spokesperson for the power of food. She’s driven by the desire to share with you the empowering aspects of nutrition and a deeper understanding of your children and their physiology. While Andrea offers many on-line programs nationwide on various nutritional topics for all members of the family, she specifically aims to uncover the root causes of food sensitivities, allergies, sleep disturbances, behavioral issues and chronic health conditions. Clients revel in Andrea’s ability to take the “impossible” or situations that seem completely overwhelming and break them down in to an experience that is designed for the individual’s unique needs. Andrea Livingston’s wisdom in growing and preparing food spans almost 20 years of ongoing education and professional experience as an organic farmer and gardener and as a live-food chef and educator. She earned her bachelor’s degree in Environmental Studies with an emphasis on Human Health and Sustainable Agriculture from Prescott College in Arizona. Upon graduating she went on to earn a certificate of completion from the Apprenticeship in Ecological Horticulture at the University of California, Santa Cruz. Andrea devoted the next ten years to managing and operating her own working organic farm in Santa Cruz, as well as other professional organic farms in California and Washington States. From 2000 to 2004 Andrea managed the expansion of the organic vegetable and medicinal herb gardens at Bastyr University School for Natural Medicine in Kenmore, Washington. While there she designed an organic gardening curriculum for the students and staff. She also spent a great deal of time developing recipes and researching the healing and nutritional value of food, benefiting from the vast knowledge of the profes- sors there. In 2008 she took her passion for cooking and organic foods to the next level completing the intensive Associative Chef and Instructor Training Program at the Living Light Culinary Institute in Fort Bragg, California. my 5 year old simply says 'no thanks!'" I had already begun making some food changes for my two year old due to some health concerns when I participated in Your Vibrant Child. Even though I had witnessed very positive changes, I was intimidated to make the same changes for my older son, believing I would encounter too much emotional push back when attempting to remove favorite foods. This has been an invaluable resource that I would recommend without reserve to any parent. Our family eats and functions so much better thanks to the wisdom of this dynamic duo! eliminate foods slowly but surely, only after "crowding out" with healthier alternatives ~ get ready for cookies and candies and more! navigate life outside the home, from camp, to restaurants, to school, to grandma's house and the Good Humor Ice Cream truck! What this means for you is that you can finally feel confident that you're offering your child the best of what you can give them, in ways you didn't realize or previously thought beyond your scope. We all feel so much better! “I knew that eating unhealthy food can make us feel unwell, but the idea of eating healthy food to feel better was not something I fully understood until taking Your Vibrant Child. After adding recommended foods, and being motivated by an understanding of why to do it, we all feel so much better! This is a life-long journey that we'll continue to explore as our son grows and has different needs. Worried about making dietary changes? You may be thinking "Changing my family's diet sounds great, I've been wanting to for a long time, but my family will never go for it!" Or you could be worrying about how dietary changes will make your child different—perhaps even more different than she already is—from the crowd. Not to mention you! How will you manage it? How will you explain it to your friends and parents? Our Promise: We'll hold your hand through the transition every step of the way. my kids, my husband and myself. “The most profound thing I've learned is how much food is linked to our well-being. Though it sounds obvious, with the detail you gave, it inspired me with the incentive to make changes for my kids, my husband and myself. And here's what you'll receive for becoming a part of this community. . .
9 classes that run approximately 1-1/2 hours each. You can listen to the classes at your own pace so that you can digest the information, experiment with the recipes, and allow for some slow transformation. You'll discover why your child might have allergies, asthma, eczema, stomach issues, and behavioral challenges and the foods that are causing them, as well as the difference between an allergy and a sensitivity. You'll find out what surprise nutrients will offer your child vitality and longevity and how to incorporate them at every meal. You'll explore and experiment with easy food preparation techniques to make meal preparation a snap, and to deliver your kids the most they can get in any bite. And, because everyone wants to share their 2-cents when it comes to food, you'll discover simple, easy and graceful ways to talk about your conscientious and delicious new food choices with grandma, grandpa and your next door neighbor. You'll also receive two BONUS CLASSES that explore your child's health from the perspectives of aromatherapy support and environmental influences. easy snacks and treats that are so delicious your kids will be begging for them! MP3 recordings of each class so that you'll never be stuck with that feeling of not knowing how to explain why you're making the changes you are~you can listen to it as many times as you'd like, wherever you like! You can listen to the classes on the treadmill, in the car driving to get your kids from school or camp, or in the kitchen while making dinner. The information is YOURS! Video recipe demos to show you exactly HOW to make particular recipes or walk you through the steps of food preparation techniques that may be unknown to you now, but will become an easy and regular part of your kitchen repertoire. We know this system is a winner. We've taken many families through these changes with great success. It's worked for them and we want it to work for you. And we're committed to sharing it with as many of you as we can, to helping as many of your children as we can. We also know that not everyone has the resources to work with us both privately. For the support and information provided in this program that would cost in excess of $5,000.00! By offering this to you as a community, we're able to make it more accessible to a broader audience. Our family has enjoyed every moment of this journey! Thank you so much for all your wisdom, support and deep commitment to the health of all our children! I'm grateful for such an eye opening, well-developed, and creative approach to nutrition. You have such wonderful insight and incredibly delicious recipes. Our family has enjoyed every moment of this journey! Note: As a holistic health care pro. remember that you can write this off as a business expense! Are you ready to join the revolution of coaches who are nurturing their kids and their community with TrulyFood nutrition? Sign me up for Your Vibrant Child the 9-step system for healing children the natural way. I understand I will receive. . .
so many kid-friendly, easy-to-make recipes that I'll never run out of ideas! Immediately upon registration you'll receive access to Class # 1 on Sugars. Each week, for 9 weeks, thereafter, you will receive access to a new class audio and corresponding materials. Bottom line? I stand behind my work. I'm confident that when you join me, you're going to be thrilled with what you learn. If you're not completely blown away by the level of content then simply send me an email within 7 days of your purchase telling me what didn’t work and asking for your money back and I’ll give you a FULL refund. That’s 100%, right out of my own pocket, to you. You have my word on it! Share the love, share the link. ALL children have the right to vibrancy. Cut and paste this link www.yourvibrantchild.com into an email, your Facebook and Twitter page to share with your community of wise parents. Your friends will thank you! You will receive the first class immediately upon registration! We are the expert team to help remove the stumbling blocks to your nourishing success and hold your hand through the entire process. YES! Sign me up for Your Vibrant Child the 9-step system for healing children the natural way. the opportunity never to be in the dark again when it comes to making food choices for my family!